Have you read a student's attempt at writing dialogue, and it looked similar to this? ...your grandma is sick Mom said. We need to visit her. Is she going to be okay. I don't know said Mom. When are we going to leave? I said. Mom said Saturday morning. 2. 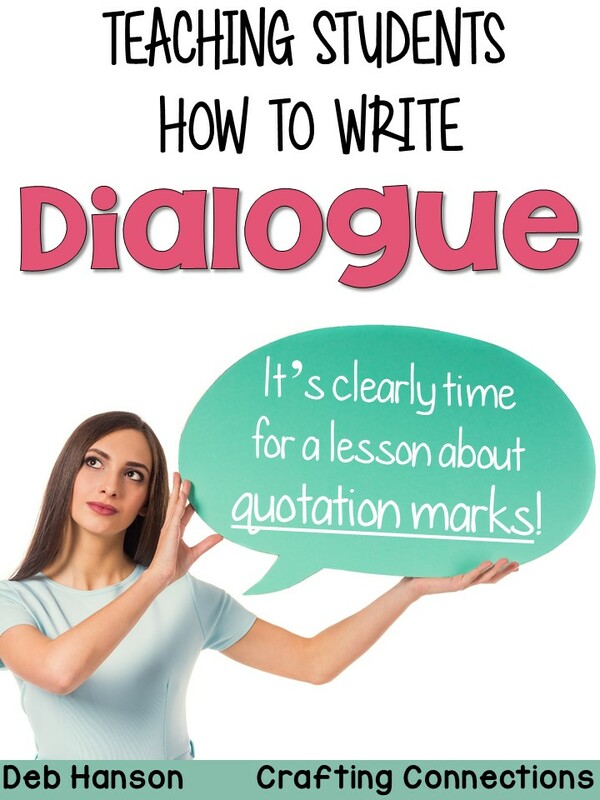 If you include dialogue, use punctuation and tags to help your reader know who is talking. 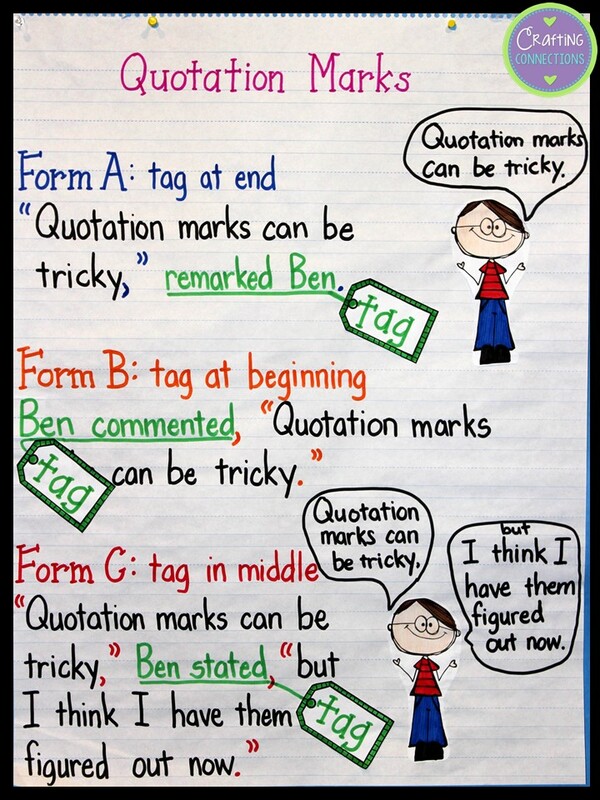 This is where the following anchor chart comes in handy. 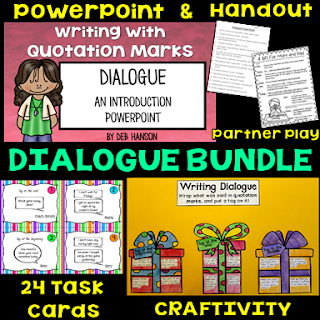 There are so many contrasting rules students must remember when adding dialogue to their writing. 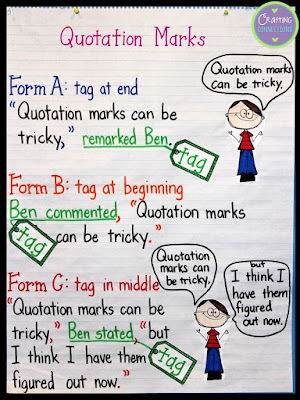 I created this anchor chart last year for my third graders, and I was delighted when I spotted many of my students referring to it throughout writing time. Clip art by Krista Wallden and From the Pond. This is how we approached the topic. First, we knew we had to teach our students what a tag was. They understood this term very quickly. During this tag conversation, we reminded students that "said" is a tired, overused word, and that we should all try to replace "said" in our writing with more interesting words. The third graders really got into this and began to notice (and report) all of the tags in their reading books. After a few days, we decided to hang a large sheet of paper in the classroom to record all of the interesting tags we encountered. If a student found a tag that wasn't already on our list while they were reading, they wrote it on a sticky note and placed it on the paper... they LOVED this! Our paper was soon filled with words like "interrupted", "whined", and "exclaimed". The next thing we had to do was to teach them the three forms- when the author writes the tag before the dialogue, in the middle of the dialogue, and at the end of the dialogue. 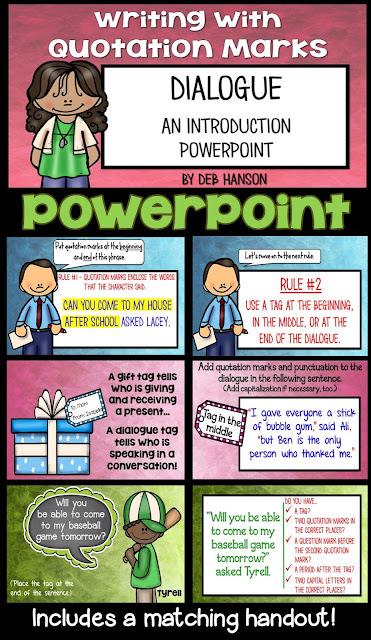 This anchor chart and the PowerPoint I created helped a lot with this goal. Students were given an opportunity to practice on this page before they tried to write dialogue independently in their writing pieces. Feel free to download this FREEBIE! 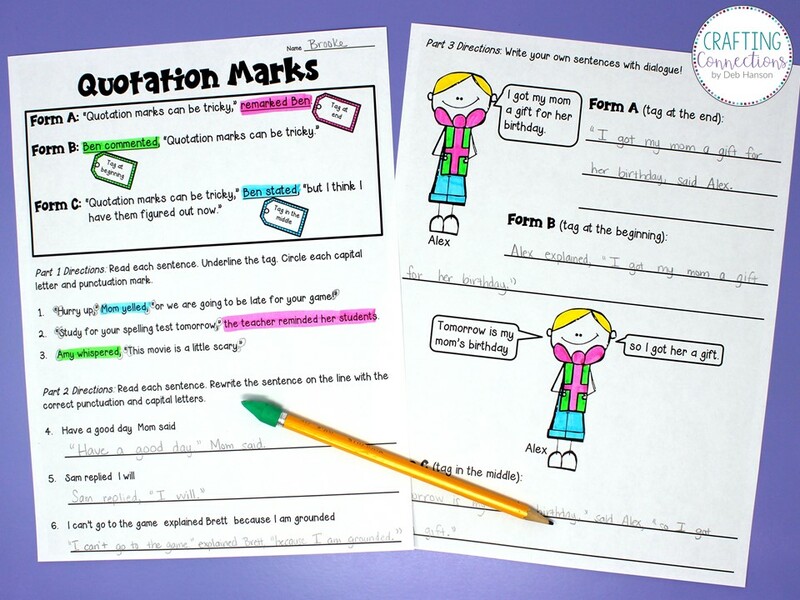 After these minilessons, our third graders were ready to tackle using quotation marks in their writing. And tackle it, they did! It was so rewarding to read their personal narratives and see them using quotation marks and tags (without the word "said") correctly! 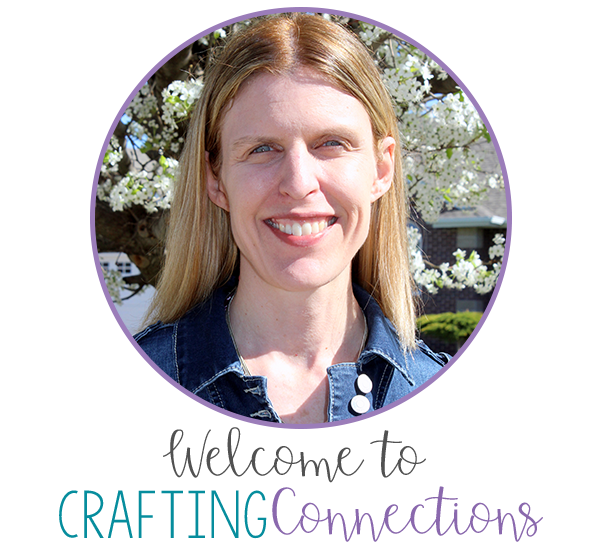 UPDATE: I recently wrote a related blog post for my collaborative blog, Upper Elementary Snapshots. Click HERE to check it out!